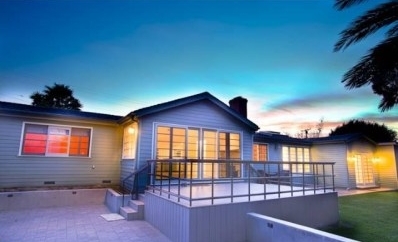 Point Dume privacy and serenity with coveted beach rights and schools. This 1.73 acre property is gated and flourishing with native and mature landscaping. Complete with large organic garden, fruit trees, grassy yard, outdoor fireplace, several seating areas, chicken coop and small horse corral. Recently renovated (April 2012), this single story 3bdrm/2.5ba California bungalow has 100 year old French oak floors, chef's kitchen, his and her master closets, ideal floor plan with custom sliders and large windows throughout, providing every opportunity to enjoy the outdoors just as much as the indoors. Property is must-see and won't last long. Easy to show.